Trying to make a fillet between two line, but a message like this is showing in the command line: Lines or polyline are non coplanar? You are trying to TRIM, EXTEND or FILLET two lines in AutoCAD and are receiving an error Lines are non coplanar and the lines are not modified. One or more of the line verticies is not at the same elevation as the other verticies. 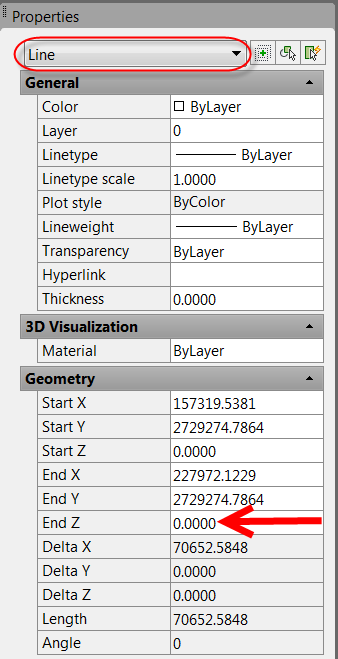 Select polyline which it is non coplanar to be fillet then click right select properties then go to Elevation put 0 value ( see photo for polylines non coplanar properties -1). Select lines which it is non coplanar to be fillet then click right to select properties then go to End Z put 0 value ( see photo for lines non coplanar properties -2).